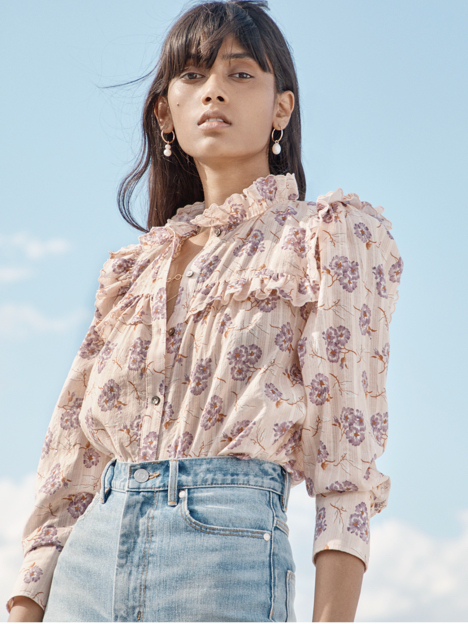 Designed in a micro floral print, this top showcases a ruffled button-front and Victorian-inspired puffed sleeves. Designed in a micro floral print, this top showcases a ruffled button-front and Victorian-inspired puffed sleeves. The soft cotton silhouette pairs especially well with denim.